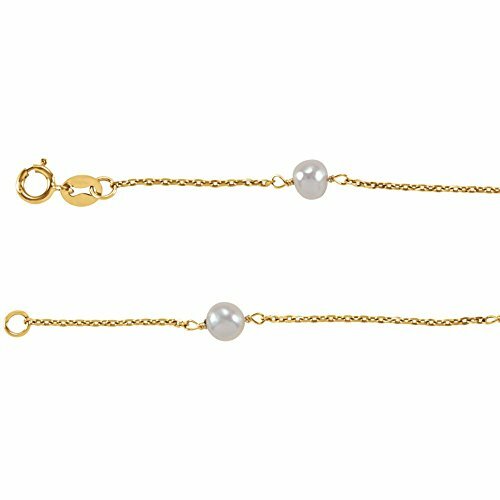 Beautiful 6" long bracelet in 14K Yellow Gold with 4 round Pearls that measures 04.00-04.50mm in width. This bracelet is perfect for young girls. If you have any questions about this product by Eternity Wedding Bands, contact us by completing and submitting the form below. If you are looking for a specif part number, please include it with your message. CUSTOM ENGRAVED - 14K Tri Tone Color Valentino Tiny Baby ID Bracelet - 4.5+1"